Fr. Andrew begins part two of his study of Evangelicalism by exploring some of the denominations which arose. Fr. Andrew introduces Evangelicalism as it comes out of the Pietistic and Revivalist movements. Fr. 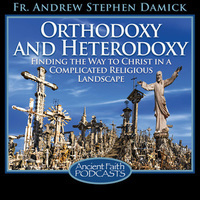 Andrew explores the understanding of salvation in the Evangelical tradition. In this presentation, Fr. Andrew compares the data-centered efforts of Evangelical Protestant Evangelism, with the church-centered efforts of Orthodox Evangelism. Fr. Andrew begins a survey of the Radical Reformation which introduced the effects of pietism into the Protestant church.